Popular Nollywood actor has melted hearts with a new post while celebrating with his new wife. Popular Nollywood actor, Femi Adebayo, has taken to his Instagram page to celebrate the second wedding anniversary with his second wife, Omotayo Memunat Sanusi. 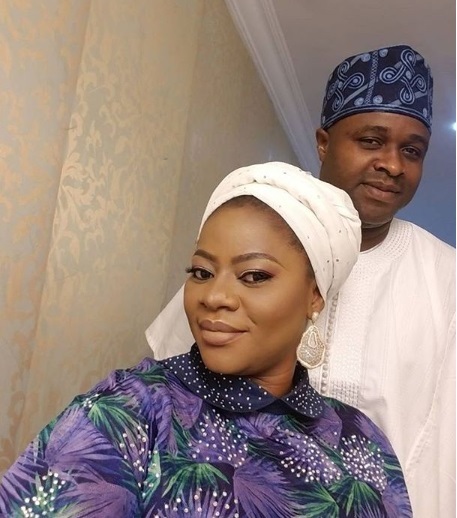 According to the Yoruba actor, in the post, he is glad to be married to Omotayo and he would make the decision to marry her over again if need be. He also showered several accolades on her. His post read: “My official and legal union to my betterhalf is 2 years Today! . It's been 2 years of undiluted happiness, 2 years of best friendship, 2 years of sweet romance, 2 years of best career criticism, 2 years of better looks, 2 years of unquantifiable blessings, 2 years of whatever good thing we can think of in life.